At that point, Hutchison had just wrapped up a small tour supporting his criminally underrated solo record under the moniker Owl John. In almost every interview he gave surrounding that album’s release, Hutchison talked about his exhaustion at the tail end of the extremely long tour supporting Frightened Rabbit’s fourth effort, Pedestrian Verse. With all of these factors in mind—frayed internal relationships within the band, general fatigue and a successful solo album—one would think that the writing would be on the wall for this record. But the end result is the exact opposite; Painting of a Panic Attack is a triumph for a veteran band and represents one of their best efforts to date. Yes, there are elements of electronic music here, but they’re more understated than they initially led us to believe. From the first piano chords of album opener “Death Dream” to its horn-filled conclusion, it’s clear that the Scottish band is using more instruments to their advantage, not weighing down their trademark morbid lyrics with extra baggage. Our first example of “electronics” comes on Panic Attack’s lead single, “Get Out,” though it comes in form of electronic drums and synthesizers. Once again, the use of synths isn’t to change the band’s overall sound, just to amplify it. This isn’t a Chvrches album; it’s still a Frightened Rabbit record. Sure, it’s a departure of sorts, but it’s not as extreme as once feared. Where the album does part ways with the last couple of Frightened Rabbit releases is in its lyrics. Still gloomy and morbid as ever, Scott Hutchison uses first person more often than in any release since the band’s 2006 breakout record, Midnight Organ Fight. Interestingly, his “I” has changed on this release, shrouded in more metaphor than ever before. Some songs here are cut and dry like “Still Want to Be Here” or “400 Bones,” but many tracks are rooted in Hutchison’s dreams such as the aforementioned “Death Dream” or even “Get Out.” There are no lyrics like “Good Arms vs. Bad Arms” highlight “I don’t want you back / I just want to kill him,” but this is the most lyrically complex Frightened Rabbit album to date, one that takes multiple listens to fully delve into. 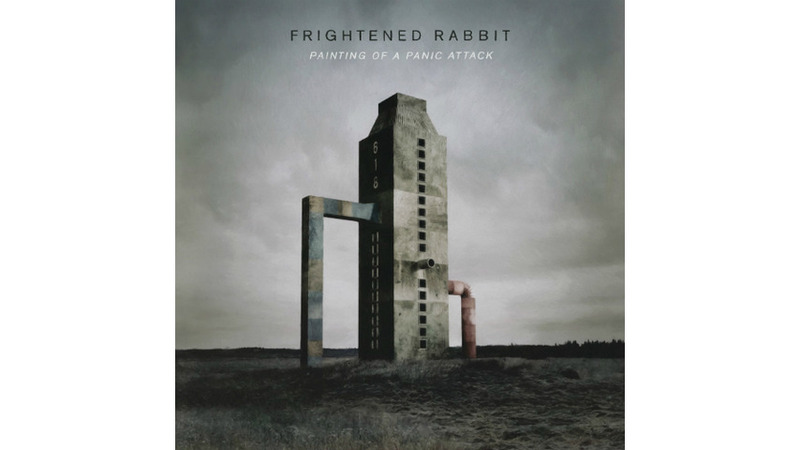 Painting of a Panic Attack also represents Frightened Rabbit at its most restrained. There are no guitar jam outros like “Keep Yourself Warm,” no solos like in the last third of “The Woodpile,” and certainly no sing-alongs like the wordless ending to “The Loneliness and the Scream.” This is the most straightforward the band has ever been, cutting out all fluff to their overall sound—maybe at the suggestion of The National’s Aaron Dessner, who produced Panic Attack. This is an album that plays better live, which is no different than any previous Frightened Rabbit release. “Evolution” is a word that gets thrown around a lot in the music industry; bands are expected to grow with each release as stagnancy is frowned upon. Frightened Rabbit evolve the right way with this release, changing their sound, but not so much that they lose their trademark sound. This is still the Frightened Rabbit we all know and love, as gloomy as we last heard from them.